White House officials have been telling us that the repair-and-replace bill is more fluid than House leaders are portraying, and now we know what they mean. 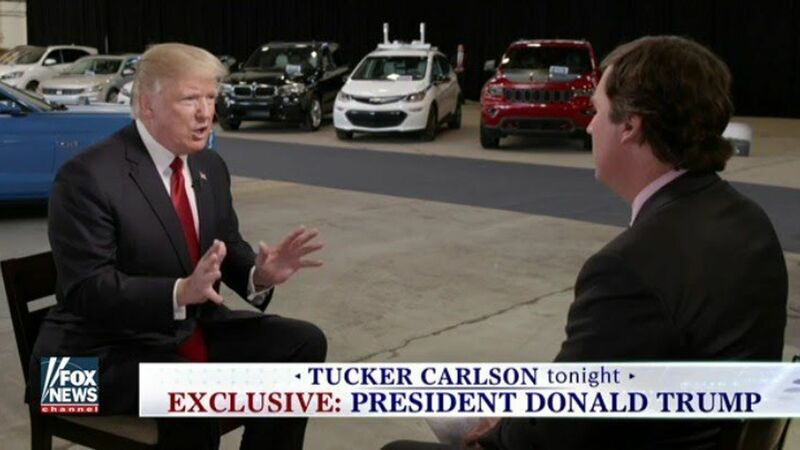 Trump, interviewed by Fox's Tucker Carlson in Detroit yesterday, said: "It's very preliminary ... A lot of things aren't consistent [with his campaign message of helping struggling workers]. But these are going to be negotiated. We've got to go to the Senate." Axios' Jonathan Swan pointed out that the remarks are striking because Speaker Ryan regards the package as a nearly finished product, although aides say some tweaks were always planned. Asked about a Bloomberg analysis with the headline, "Trump's Counties Lose Out to Clinton's in GOP Health Tax Cuts," Trump replied: "We will take care of our people or I'm not signing it, OK? Just so you understand. This is very preliminary." "I'm, in a little way, I'm an arbitrator. ... We got a lot of fighting going on." Be smart: Trump sees and fears the rising unpopularity of the Ryan plan and will gladly accept whatever changes needed to get it through Congress — or drop the entire thing if looks like a political loser weeks or months from now.